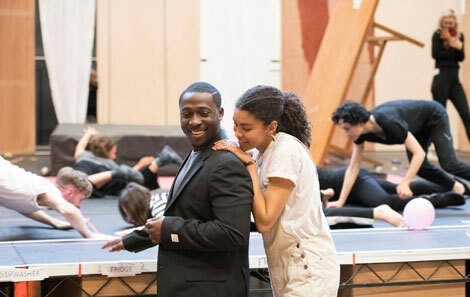 Graduate Eric Kofi Abrefa is playing Jean in the National Theatre’s new adaptation of Miss Julie, directed by Polly Stenham. Julie, also featuring The Crown’s Vanessa Kirby, and 2014 RWCMD graduate Thalissa Teixeira, who both appear with Eric in the promotional video below, is an updated version of Strindberg’s play which promises to remain shocking and fiercely relevant. The production is designed by graduate and Fellow, Tom Scutt, and is currently in preview, with press night on 7th June. 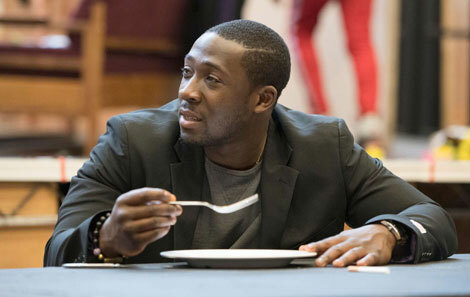 Since leaving College in 2012, Eric has been busy appearing on both stage and screen, most recently in One Love: The Bob Marley Musical at Birmingham Rep Theatre, written and directed by Kwame Kwei Armah, as well as working with Rufus Norris at the National, and Dominic Cooke at the Royal Court. Television performances include Channel 4’s Humans, Fox UK’s Deep State, ITV’s Harlots and Richard Eyre’s King Lear.